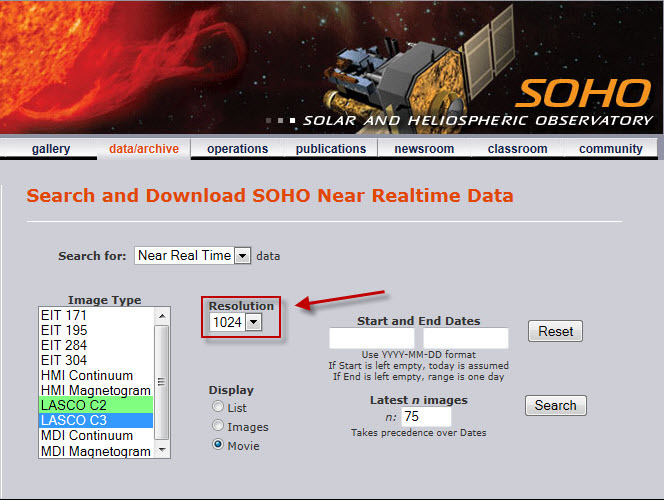 Today we dive into Sungrazer...a real-time citizen science project for discovering new comets. This NASA project has been extremely successful and has cataloged nearly 2,000 comets over the last fifteen years. All it requires is some patient observation and access to standard photo-editing software most computers already have pre-installed. This gem of a project has identified almost half of all known comets...all thanks to the dedication of citizen scientists just like us. Everything is based on the SOHO (SOlar and Heliospheric Observatory) satellite parked in a stable Lagrange point orbit where the Sun and Earth's gravity cancel each other out. Here it can stare at the sun continuosly collecting data. Mainly it focuses on solar flares, jest of plasma gas shooting out from the sun which impacts the solar wind and causes the Aurora Borealis (among other effects). To gather data from a souce so bright, the satellites use an "occulting disk" which covers the body of the sun and blocks out the main solar light, while letting in light from the sun's surfact and out into space. This is the black dot in the center of all the images you'll see (like the one below). 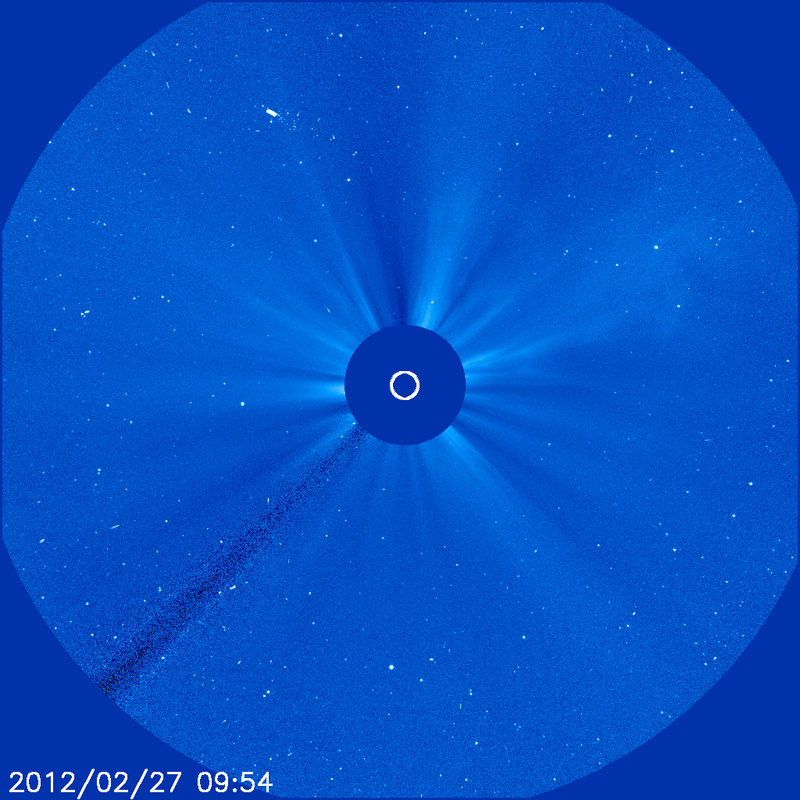 Although designed to study the sun, SOHO is also perfectly designed for catching comets. As these wanderers near the sun the warmth melts the comet's core and creates the long tail we are all familiar with. The sun's light also illuminates the comet and it's tail to the brightest level they will be. 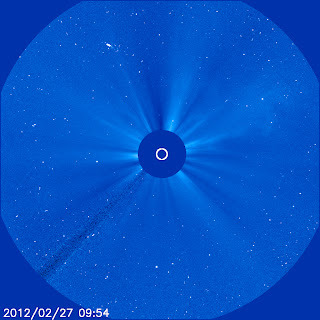 So the SOHO cameras can capture this light and users can watch for the tell-tale white dot moving across the star field. Sungrazer is also unique in that it is both highly complex AND accessible all at the same time. Yes, it uses raw satellite footage and requires users to manipulate data feeds. It also requires a lot of practice to learn and enough patience to find a needle in a haystick. But the tools are available and it does not take much time to learn. So if you are up for the challenge and want the bragging rights to say you find a never-before known comet, this one is for you. Visit the SunGrazer web site to learn more about the project and links to all the information you need to know about the project. 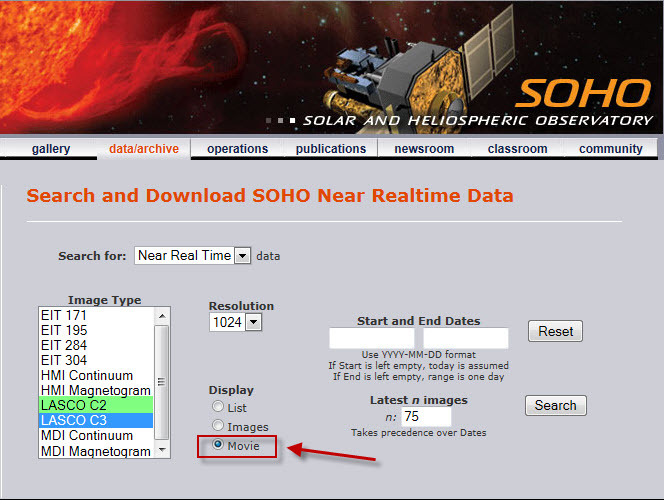 This includes basic information on comets and the SOHO satellite gathering images for us. Read the Official Comet Hunting Guide for information on what to look for. They'll teach you how to differentiate comets from the background stars and planets (stars and planets all move horizontally from left to right; comets appear to move against that flow). They'll also teach you to ignore gamma ray strikes...blips and streaks that randomly appear and may look like comets but are just random blips in the data. 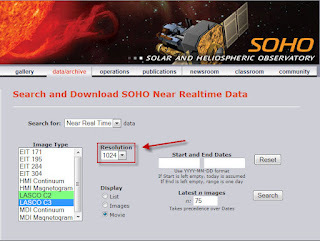 Once you feel comfortable with the basics, visit the SOHO Realtime Data Portal to download the most recend data and start your observations. Next we need to make sure to use the highest quality images. Make sure to set the resolution to 1024. For this first pass at the data, we want to create a movie of all the combined images. This helps our eye pick out a moving comet and differentiate it from the other starrs/planets in the image. To finish out this part, we need to decide the number of images to use in the movie and click "Search". You want to select a number that will give you a reasonable amount of data to go through in the movie without being so long you can't rewatch it multiple times. Comet-hunting takes careful observation and you don't want to miss something, so run the film on a loop multiple times. Congratulations! You've just completed part 1 and created a movie of the images. They should like one of the two sample movies I've made for you below. Watch the movie loop...quickly at first to look for potential comets, then slowing it down to make sure they aren't stars/planets or cosmic rays. You also want to make sure they appear in at least five images to ensure the comets you're tracking are real. I've highlighted the faster and slower boxes for you below. You're doing well...but don't stop now! Next we need to find the positions of the comets so we can accurately report them to others. There are many tools out there to do this but I chose PhotoShop Elements 10. It's the most current version, is widely available, and costs less than $75 (on Amazon.com or on Adobe.com). Find the images with your suspected comet and use the query tool above to download those individual image files. Open them in Photoshop Elements, select the first image, and click on "Edit Photos". This will bring up the edit screen. Enable a ruler by selecting "View" from the top navigation bar and then select both "Ruler" and "Grid". Zoom in on the target star. Using the gridlines and ruler, determine the x- and y-axis location of the suspected comet as shown below (note the red crosshairs are just for illustration). Once you have times and coordinates for at least five images, you need to check that they are actually the same body moving at a constant rate (in other words, make sure it follows the laws of physics!) So you need to calculate a speed along the x-axis and y-axis for each pair of obserations by finding the difference (in pixels) between each observation and divide by the time elapsed. In other words...imagine a comet at 9:00PM (100 pixels, 560 pixels), 10:00PM (200 pixels, 580 pixels), and 10:30PM (250 pixels, 590 pixels). Over the first hour the comet travels 100 pixels/hour in the x-axis (200-100) and 20 pixels/hour in the y-axis (580-560). In the second interval, the comet travels 50 pixels/half-hour in the x-axis (250-200) and 10 pixels/half-hour in the y-axis (590-580). Over the same period of time (1-hour), both images would have moved 100 pixels/hour in the x-axis and 20 pixels/hour in the y-axis. All you need to do now is report it. Just go to the report form and enter the time for each image wth a comet, x/y coordinates for each image, and the SOHO camera used for the observation. I realize this has been a long post. The project pulls different types of data, requires lots of film watching, uses different software programs, and even requires some math. But the rewards are worth it for those with the desire to find their own comets. And it's really not that hard. Just go through the process above step-by-step and it should become pretty easy. I've tried to make it as straightforward as possible by highlighting ways the average user would participate. Thought I'm sure astronomers have more sophisticated tools than we do, that doesn't mean everyday people can't make exciting discoveries. Let's show them what we can do! This week's key to creating successful citizen science projects was the first I came up with but also the hardest to describe. Which is ironic when the topic is "Keep it Simple". On the surface it seems to go against the many others I've talked about and seems to lessen the value of citizen scientists. But far from it. I could write a lengthy introduction on this topic and describe the many themes we'll go through below. But that wouldn't be very simple. So let's dive right in! Stay Focused: The main benefit to keeping projects simple is focusing tightly and intensely on the science at hand. This reduces the complexity for both participants and researchers, and simplifies many aspects of implementing the project. You only need to train users on a small number of skills, you don't need elaborate data collection tools, and you don't need to create expensive web sites. Concentrate on the basic tasks and ignore the distractions, but make sure the tasks you do perform are done to perfection. Project Squirrel is a prime example of this. There is nothing complicated about the project...just identify Grey Squirrels and Fox Squirrels and report them on the project web site. That's it. Participants can learn quickly, scientists can set up the project quickly, and the data is easy to analyze. Data quality problems are reduced (information is easily collected and it's easy to differentiate between types of squirrel) and there are few variables to control, all leading to a very successful project. Now if the researchers want to expand from here and tackle more difficult questions they still can, but keeping the project simple from the start provides a solid framework further studies can build upon. Make it Convenient: By staying focused researchers can design projects that are convenient and easy to use by participants. Focused projects are also smaller projects, which lets designers devote resources to improving the user's experience. This opens up possibilities for mobile devices and applications participants can use wherever they go. The Meteor Counter application is a great example of this. Shooting stars are transient events and even during a meteor shower people can go a long time between seeing one. A meteor tracking project can't rely on participants knowing when one will occur and giving them time to prepare. Instead they must allow users to react after one has been seen. So creating a mobile application for meteor counting is the perfect fit...participants can carry it with them wherever they go and when a meteor does fly by they just open up their phone, provide the few observations possible during the 5 second event, and click "submit". Scientists can then take advantage of the data and ensure sightings aren't miss because users weren't ready for them. Make Learning Easy: Helping citizen scientists understand your project in a timely and effective manner is vital to the project's success. We've seen this theme in previous posts as it impacts so many of the important design keys. By simplifying the project you minimize the amount of training required of participants, thereby reducing the time they spend learning and the time you spend training them. It also helps ensure the training you provide sticks; shoving too much toward them at once guarantees some of it gets missed. An example of keeping projects simple to make learning easy is seen in the Zooniverse initiatives, such as the MoonZoo project. In the MoonZoo scientists ask users to identify and outline moon craters. It's a relatively simple task, and scientists could ask many important questions on the exact same images. But they've stuck to just tracing craters. By doing so all the information on how to participate and the science behind the study fit on a single web page. Not only that, but it can be described in writing as well as in tutorial videos. This allows users of different learning types to use the system most comfortable to them while minimizing the amount of training the project has to provide. All by keeping things simple and focusing on only the most important scientific tasks. Make Participating Easy: Another theme we've seen before is the importance of how citizen scientists actually participate and how they interact with your project. This includes a user interface for the many computer-based projects we've looked at. The easier you make a project to use, the less training is required and the more reliable the data. It also increases the chance citizen scientists will join since they won't be intimidated by your project. There are many examples of this, but in particular is Creekwatch project. Like the others it is narrowly focused and conveniently designed as a mobile application for tracking water pollution. The designers have succeeded because they kept it very simple...just take a picture of the stream and answer three short questions (water level, flow rate, and amount of trash). That's it. Easy to design, easy to learn, and easy to entice participants to join That's something everyone is looking for. Hopefully I've shown all the many benefits of keeping citizen science projects simple. It's not to diminish the project's scope or to "talk down" to users. Instead it provides a clarity of focus and lets designers focus on the most important aspects of each project. We all have limited time and budgets...the key is using them wisely. And I don't think this contradicts my earlier advice to "Be Audacious". Projects should still aim high and trust their users to be up for the challenge. Just make sure you stay focused on that challenge and do all you can to simplify the journey toward that goal. Stay tuned each week for more on this subject. And remember you can follow us on Facebook or Twitter for the latest updates. 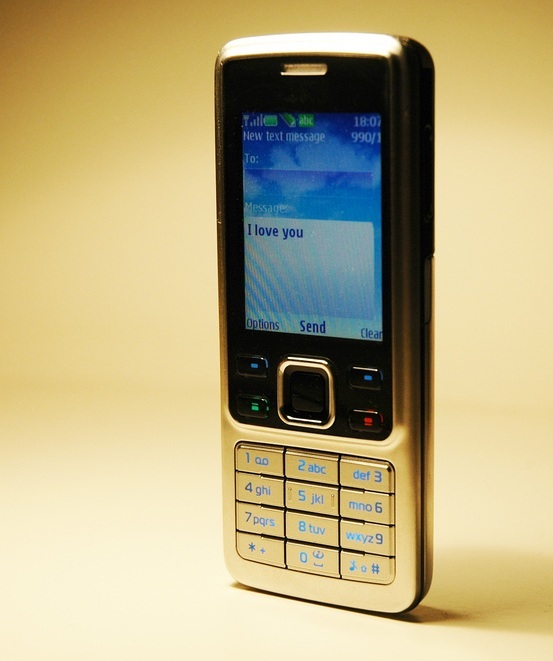 Cell phones and text messaging have made our lives so much easier. They coordinate our lives, keep us in touch with families, and even help us find our friends at the bar. It just takes a minute for quickly-typed message to head across the world and be answered immediately. But we've made it even easier. An entire "language" of simplified spelling and grammar has developed to maximize the amount of content with the minimal amount of typing. Researchers are now looking for help understanding this new language. The SMS4Science and Text4Science researchers are trying to collect a large volume of text messages from individual users. Once collected, they hope to analyze the use and spread of this new language. So every "OMG, "ur", and "l8r" can provide insights into both communication methods as well as the human brain creating those messages. It can also be used to help computer scientists understand the new language and develop systems and "speak" it as well. All the researchers ask is for users to complete a short registration and forward their text messages to the project team. To encourage participation, each person submitting five or more text messages is entered into a monthly drawing for iPods, USB Drives, and free movie tickets. So it's a nice potential prize bounty for such a simple request. This project is currently limited to Canadian text message users but sister-projects are working across the globe to create the most comprehensive data set possible. So even if you are not living in Canada stay tuned for projects coming soon to your country. Visit the Text4Science web page to learn about the Canadian project and the international SMS4Science initiative. Click on "Form" and "Registration" to sign up for the project. You can also just click here to access the registration form directly. Fill out the (relatively) short questionnaire with your cell phone number, primary language, education level, and text messaging habits (e.g., use at home, use at work, etc. ), as well as your texting style (e.g., if you normally use simplified messages or full English sentences). It will take less than five minutes to complete. Provide your informed consent to participate. Forward your text messages to the phone number provided. That's all there is to it! So start texting away with your family and friends, then shoot off a copy to the project. It's simple for you and appreciated by science. Another Win-Win for citizen science. Today's key is at the heart of all citizen science movement. Without it people won't join the project, data won't be collected, and science won't utilize the results. This important key is trust. In some ways this is simple...you can't put science in the hands of amateur citizens without believing in them. That's obvious. But it hits on many more levels than just that. For even if a project scientist has faith in the public's ability to collect data, but doesn't trust them enough in these other ways, the project still won't be successful. So let's take a quick look at these, shall we? Encourage Dialogue: Actively listen to your users. This doesn't mean just allowing comments and paying lip service to getting feedback. It goes further by acting on the comments and taking particpant ideas to heart. If they see problems with the data or flaws in your project, use their help to improve the project. If they identify hidden trends or come up with alternative hypotheses to those you are testing, follow up on those leads. Not only does the science benefit but showing users you take their comments seriously provides respect and encourages them to continue participating. We saw this in the Hanny's Voorwerp case where project scientists actively encouraged an active community of users and built in systems for users to report "oddities" in the data. One of these was noticed by a young high school teacher intrigued by an eerie green glow in Hubble telescope images...this turned to be an undiscovered quasar illuminating a stream of interstellar gas. Not bad for a volunteer! As any good husband/wife will tell you, it's not enough to hear your partner, you have to listen to them. Provide Data Access: Projects need to both give and take. In other words, don't make participants work hard to provide data and then just hoard it for yourself. Let them take advantage of it too. Not only is this "fair", but it let's researchers gain insight from citizen scientists in he field who may provide creative insights into them. It also helps them do their job better. They can see where potential data quality issues can crop up and can alter their techniques accordingly. It can even help them maximize their data collection. For example, FireflyWatch project asks users to report the location and date of firefly sightings across the country. The project also makes this data available to all it's users. By looking at the first and last sightings of previous years, participants can time their observations so they don't miss the first sighting of the season and that they stick around long enough for the final sightings. All ensuring the most complete set of observations possible. Allow for Errors: Trust the people AND the crowd. For many projects the observations and analyses performed by citizen scientists are very complex. No matter how much projects train users the work can require levels of precision and practice not available to the average user. So researchers may be understandably afraid to trust users to provide accurate data. But we've seen time and time again that even if individuals user data is off, the collective wisdom of the crowds can be spot on. Don't be afraid to trust the combined data of users. When averaged together it can be just as precise, if not more precise, than alternatives using computers, experienced scientists, or overworked graduate students. The Agent Exoplanet project is a prime example. Volunteers examine star data for signs of changing brightness and to track tiny motions across the sky. This creates "light curves", and the more accurate the light curves the orbit calculations of far away planets become more accurate. The project scientists have repeatedly tested user results against their own results from well-trained observers, and the citizen science data has proven itself many times. Be Audacious: Don't be afraid of challenging users. Just because citizen scientists don't have the experience level of trained researchers doesn't mean they can't do big things. For starters, relying on the crowd of citizen scientists to collect data and "cancel out" each others errors makes big project possible. And some participants flock to the excitement and challenge of difficult projects. 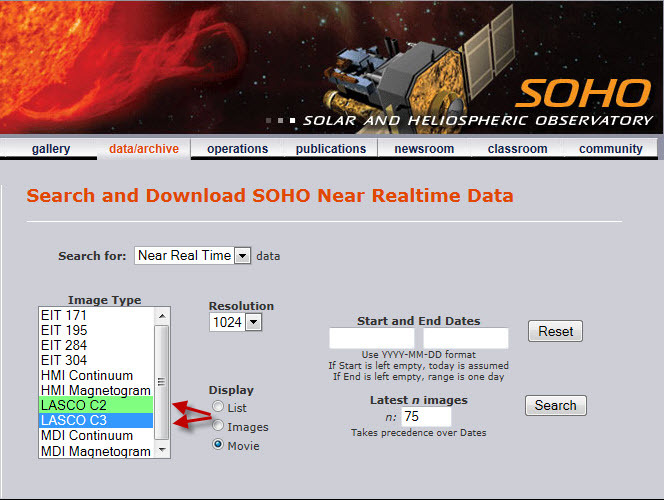 For example, I will soon blog about the Sungrazer project for detecting comets around our sun. 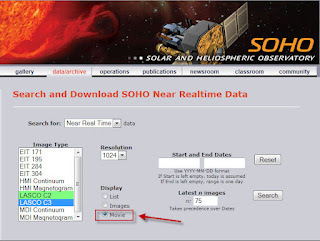 Using the NASA SOHO satellites, participants download image data on a real-time basis and use photo editing software to spot potential comets. These appear as bright pixels and can be tracked through a series of consecutive images. While this project requires some work by volunteers to set up the programs and patience to comb through each, it has been highly successful as over half the discoveries have come from citizen scientists. It was never even designed as a public project...users just let loose their creative energy and accepted the challenge on their own. So scientists should not be afraid of big projects...trust the volunteer community and they will help you do great things. Frequent readers (as well as Facebook friends and Twitter followers) will notice a slight deviation in today's planned post. The initial "Focus and Simplify" has been replaced with "Trust" as today's key. My plans for that post keep changing so instead I chose a topic more clearly conceived in my head. But don't worry, there are a few more exciting posts in this series yet to come. We'll be talking about focus and simplification, as well as project interfaces and teaching techniques in the near future. So stay tuned by following us right here on the blog or as followers/friends on social media. I keep everything updated here and offer extra goodies on social media as a thank you for following. Finally, I'd love to hear more from you on this post or any other in the series. I gain new insights each week and hope to keep revising them as the issues become clearer. But I can only do that with your help. So please, leave your thoughts/ideas/compliments/criticisms below. The more minds participating the better! Last summer we talked about the Quake-Catcher Network. Stanford scientists developed cheap, computer-based seismometers people can use to measure earthquakes at home. For less than $50 anyone can order one and set it up to constantly record the motion of the Earth. Although professional seismometers exist in laboratories across the country, there are expensive and not always where earthquakes hit. The quake catcher network supplements those sites with thousands of home-versions to better record each earthquake and provide data on how the quake moves across through the Earth. As you probably remember from goelogy class, seismometers record quakes using the Richter scale to measure magnitude. While that accurately records the energy of each quake it doesn't record the sensation or damage caused by one. That's where the less-famous Modified Mercalli Intensity Scale comes in...it records information like whether the tremor caused cracks in your walls, whether objects fell off shelves, whether the building shifted, etc.. This is the data "Did You Feel It" provides. The "Did You Feel It" project is run by the U.S. Geographical Survey and records information from across the world. No special training or pre-registration is involved. All they ask is to visit their web site when a quake hits, add some information on who you are and how the earthquake felt, and click submit. In mnay ways this is one of the most passive of citizen science project types...an observational measurement type that doesn't require regular observation. Just record things if and when you feel them. Wait for an earthquake to hit. Hopefully that won't be for a long time, but the point is you don't have to do anything. Just wait for an event to occur. 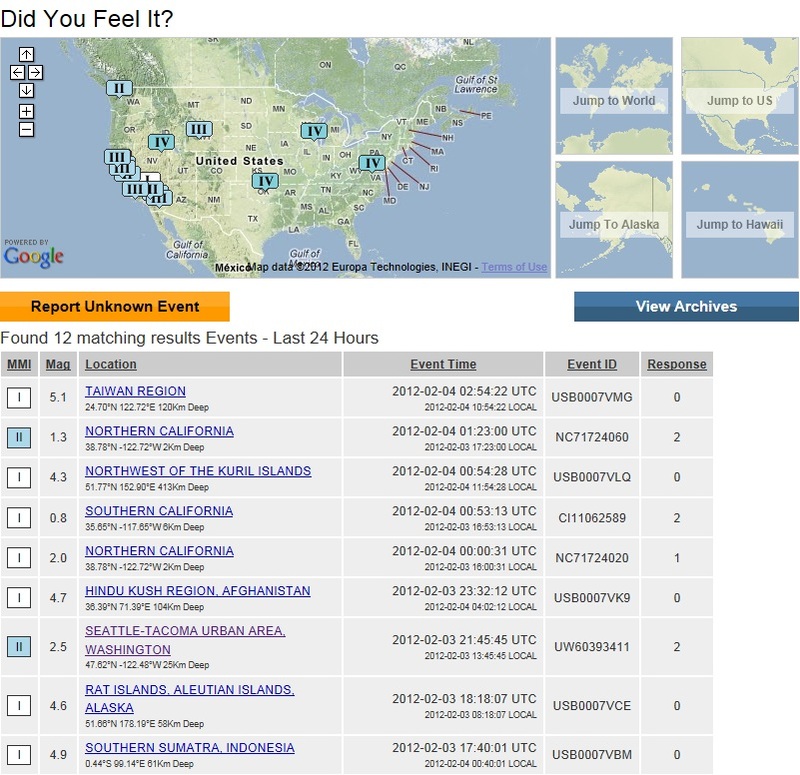 Once you feel the earthquake visit the Did You Feel It web site. 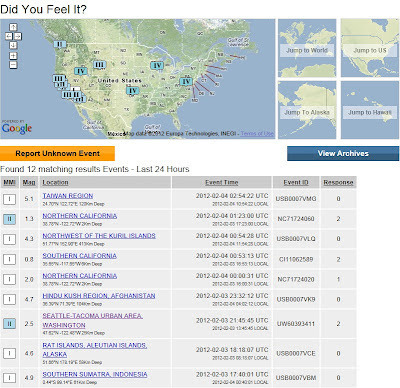 You'll see a U.S. map and table of all the earthquakes recorded over the last week (see screenshot below). Each includes time and date, so find the one you think you felt. After identfiying the quake you will be linked to a close-up of the quake area. Click on "Did You Feel It? - Tell Us" to provide your address and zip code. Click "Continue". Now you are asked about your experience in the quake. This is where you answer questions about potential damage, shaking strength (weak to violent), whether you were asleep, whether others noticed it, and similar questions. Finally, you are asked to provide contact information (optional) and additional comments. That's all there is to it. Hopefully your area will stay safe from earthquakes and you won't need to use this site. But if you do experience one, please visit the USGS web site and tell tehm about your experience. The information is not just scientifically valuable, it also helps local governments respond to the quake and helps ensure your town get's the help it needs. So everyone will thank you in the end. Last week I discussed an important trait all successful citizen science projects share -- "Benefit the User". This week's "Engage the User" is very similar...engaging participants provides satisfaction and accomplishment benefits to them. But there are enough subtle differences to make this a whole separate post. There are also many interesting ways to engage users worth sharing with everyone. Create a Community - People are social animals, so creating a community around the project is a great way to engage participants in a project. Projects become a place to meet friends and discuss science issues of similar interest. This is especially true for citizen science which occasionally seems like a lonesome endeavor. The annual Christmas Bird Count owes some of it's 100+ year existence to the community of participants involved. These communities teach new participants how to birdwatch, reinforce the concept that individual citizens can perform meaningful science, and keep participants coming back year after year. Who wants to miss a year when all your friends are waiting for you? Best of all, any activity you can do with friends is always going to be a fun. This keeps people, old and new, coming back every year. Interact in Real Time - People like instant gratification. Not only do they want to see an impact to their participation they want to see it quickly. The Valley of the Khans project offered that in spades. This project combined field expeditions searching for Genghis Khan's tomb with satellite image analysis performed by citizen scientists. The research team was literally in the field driving to investigate locations identified by users back home. People could watch their work pay off and know the next day's work would be acted on too. It also provided a "reality" to the project by showing.the research is not just academic...it leads to tangible real-world discoveries. Obviously this project can not go on forever, and there have been breaks in between expeditions, but analysis continues with participants knowing potential sites will be investigated during a future archaeological dig. Just the promise of interaction can keep people motivated. Provide Feedback - People want to see results. So another way of engaging participants is by providing frequent feedback on the project's status. It's a relatively simple thing to do, but many project fail to do so and miss out on simple opportunities to interact with their participants. Even distributed computing projects, which normally don't involve much personal interaction, can use feedback to provide engagement they would otherwise struggle to do. For example, the World Computing Grid and BOINC platforms send out regular scientific updates on their progress to date. But even though every project can do this unfortunately not all do. Updates can also highlight many different things. Sometimes they focus on process measures, such as data units analyzed, while others highlight exciting finds. For example, the Galaxy Zoo's frequent publicizing of Hanny's Voorwerp (a strange celestial object discovered by a participant) let's participants see their discoveries taken seriously, and provides excitement by showing the important discoveries made by everyday people. Offer Excitement - People are drawn to excitement, and this is probably the simplest and oldest example of engagement. But it's still a very powerful tool. In the 1990s SETI@Home re-ignited the citizen science field largely from the excitement of hunting aliens. It wasn't about wide-band spectrum analysis or Fourier transforms, but looking for E.T. This seems obvious but in practice it isn't always so. For example, the Great Internet Mersenne Prime Search is not about obscure mathematics...it's about James Bond cryptology and winning prizes. All citizen science is exciting, but understanding how to communicate that excitement is a definite skill. One worth mastering to keep users coming back for more. Those are my initial thoughts on ways project scientists can fully engage their users. But I can't have a long discussion about engaging citizen scientists without mentioning OpenScientist's own engagement strategies. Which is why I've increased the social media presence to improve my dialogue with OpenScientist readers. For starters, the Twitter and Facebook pages are fully set up now and are ready for you to sign up (I'll wait a minute while you quickly click over...) As you'll see I'm posting general news, information, and updates from around the world of citizen science. That means articles I come across, updates received on projects we've discussed, and early discussions of upcoming posts will all be featured here. Basically quick, small items I think you'll find interesting. It doesn't replace the featured projects and opinion pieces of the blog; those are longer form and will always be my bread and butter. This just allows a whole new level of content for you to enjoy. Of course the regular method of interacting with OpenScientist remains...offering your ideas, reactions, and critiques in the comments below each article. I've received much good advice from you and this site reflects much of the knowledge you've provided me. So please keep that wisdom coming. It truly is appreciated. So let's stay engaged. Share your your thoughts through any of these means, and let's continue these fascinating conversations! Stay tuned each week for more on this subject. And as I just mentioned, you can also follow us on Facebook or Twitter for the latest updates. 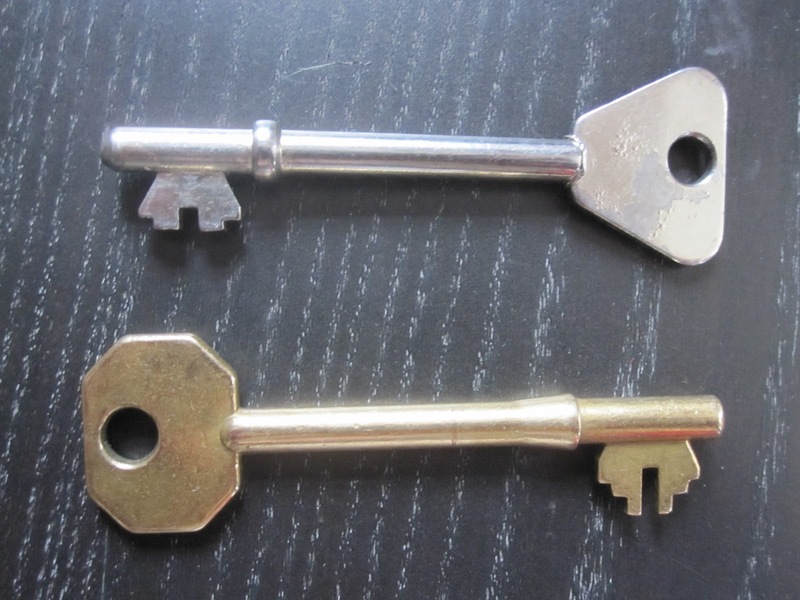 I've been sorting through all the projects we've looked at to find the keys to creating a successful citizen science project. Some have been good, some have great, and some have been ugly. But all should help us figure out the best way to create a successful citizen science project. While I've found a few themes around which I'm organizing these posts, I'm still very much in the exploration phase. So these aren't hypotheses, merely ways to organize my thoughts. Hopefully putting all this out in the open and letting the citizen science community comment will lead us to some answers. The first common trait of many successful projects is "Benefit the User". Although it sounds self-explanatory there are many components underneath it that deserve further discussion. Each of these is listed below along with an example or two of projects typifying that trait. Not that these examples are exclusive (many will fit in multiple categories) but they easily demonstrate the traits I'm describing. Entertain: One of the simplest ways to benefit users is by letting them have fun with your project. Incorporating video game concepts and technology are a great example of this, as seen in the FoldIt project. While similar projects exist in the same area of science, FoldIt seems to be one of the most popular (as shown by the frequent press reports) as well as one of the most successful (from the completed structures solved much faster than through other methods). The project works by showing players (citizen scientists) a protein structure they need to manipulate to its lowest energy formation. The lower the energy the greater the points. Players can also team up to combine their knowledge and build upon each other's work. As a game players receive frequent feedback (by scoring points) and increasingly difficult goals to achieve, keys to any successful game design. Compare this with the distributed computing and other protein-folding projects out there...FoldIt clearly brings in more users, keeps them more engaged, and achieves more results. All by benefiting users who have fun participating. Reward: Many citizen scientists participate for the fun of it, or because they have an interest in science and want to volunteer. But their time is valuable. If people are going to donate their time they want something for it. Innocentive organizes challenges for companies willing to pay for the result, and let's citizen scientists compete for the prize. 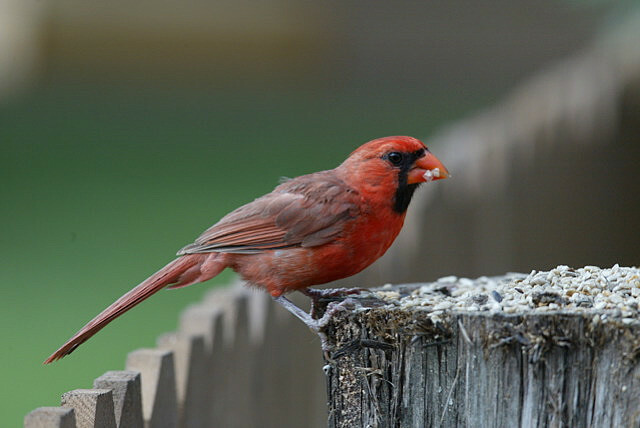 The Great Backyard Bird Count is another example where participants receive entries for "Door Prizes" donated by local sponsors. Both the companies and the participants win. While there is nothing wrong with projects relying on volunteers and not providing a monetary benefit to them, you must provide participants with something. This is also a key concept for the citizen science bounties proposed in the past. Otherwise participants will just move on to other projects that will reward them. Challenge: A common part of citizen science games and projects with rewards is providing meaningful challenges that tap into people's competitive instincts. It's a powerful force that keeps people engaged as they get caught up in both the goal and the contest. A great example of this is the Ansari XPrize. By creating daunting challenges for transformative technologies with large rewards, they inspire endless creativity and energy in participants attempting to reach the goal. Not only are people challenged by other competing teams the goals themselves are a huge stretch from current technology that some think can't be achieved. Yet somehow they come out on top. Good project designers know that modern-day challenges, just like long-ago challenges to fly a plane across the Atlantic, are meant to be overcome. Educate: One simple tool citizen science projects have to benefit users is educating them on the field of study. Successful projects take advantage of this by teaching users more than they NEED to know to participate, but which is interesting to know and provides greater appreciation of the project. So Astronomy projects looking at a single type of star can not only teach about that star type, but can also teach about stars in general and the field of Astronomy as a whole. In fact this is what many users come for...they want to learn about the science and participating in a project is a hands-on way to do that. The Skywarn program is a great example of this. The government relies on citizen scientists to observe violent weather and report their findings, but only a trained observer can provide valuable data. So Skywarn scientists travel the country recruiting volunteers and teaching them the important weather facts they need to know. But it's also a great opportunity to discuss meteorology in general and help people understand the weather around them. Even though people are providing a service for no money, they benefit from all the education they receive. So those are my thoughts on benefiting the user. It's certainly not complete and there are many more broad themes we'll discuss in future weeks. But before I go any further...what are your thoughts on this list? Are these important components? Are there similar ones to also describe? Are there better examples of each? Just let me know in the comments below...I'm all ears! Stay tuned each week for more on this subject. You can also follow us on Facebook or Twitter for the latest updates.